Each week we will offer up an original Alchemist Designed recipe, within in this… on the selected weeks you will be able to purchase all 5 flavours needed for this mix at a special discounted price. 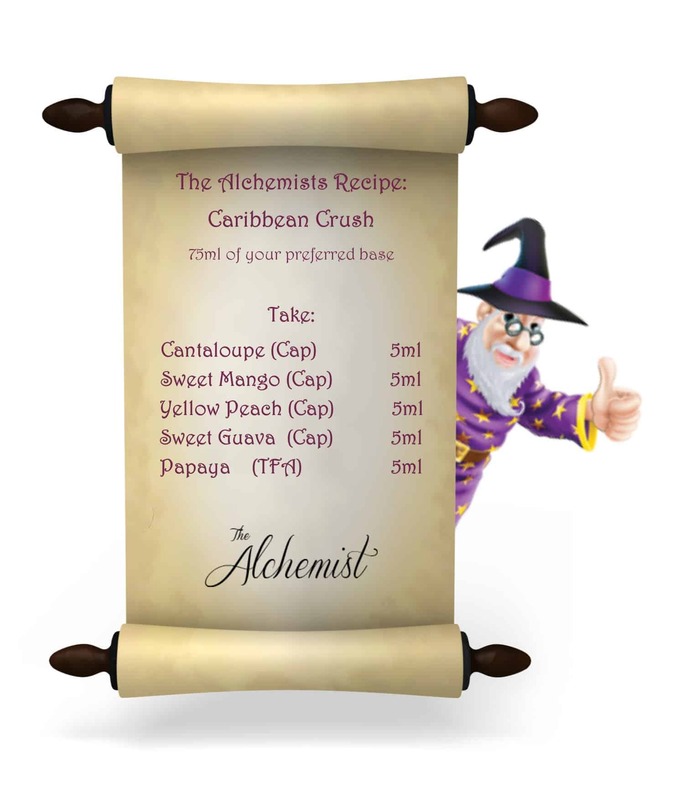 Unleash The Alchemist in you with what will become a vast array of magical concoctions and beautiful blended recipes. Designed to show the diverseness that can be achieved within making your own E-Liquids. We understand the troubles of making delicious E-liquids… and them disappearing before you know it. 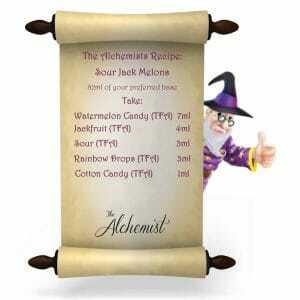 Which is why we have designed these recipes as a 100ml make. It means you can use a few ml during the steeping process to help appreciate the change it undergoes, without the liquid disappearing before it really hits it peak. Additional steeping information can be found here https://www.thealchemistscupboard.co.uk/important-information/e-liquid-steeping-advice/ we advise a 3 week / 21 days steep on all recipes. Time is most certainly the best process, other methods can be useful but please do additional research. Just like the real thing! Perfect balance of toffee and peppermint with just the right level of sweetness. My favourite Vape right now.